In case you missed them (because it’s been a really long time since I wrote them) here are the first two articles in the series: Part 1, Part 2. In this article, I wanted to address the topic of choosing the team. There are a couple of issues to think about before you pick your team. It’s hard to lead creative people. If you’ve never spent a lot of time with creative type, you may not know, but doing so can be an extremely difficult task. Sometimes, creative people wear their emotions a lot closer to the surface. Sometimes, they bury their ideas deep inside and you have to prod and pry to get anything out of them. Sometimes, they are offended easily if you don’t like their ideas. Sometimes, they are so personally tied to their idea, it doesn’t matter what anyone else puts on the table, it will not compare. If this sounds daunting, perhaps you are not the right person to lead the team. But if the idea of the team is so powerful to you that you are willing to go through any of this to get the chance to do this, read on. How many to put on the team? Depends on the leader. If the leader can effectively lead a group of people, then maybe 8 – 10. However, it can be really hard to keep that many people focused. So, if you’re not a great leader, you might want to keep the number down between 4-7. Honestly much more than 6 and it becomes hard to get your ideas heard. Now to the real question, Who do you put on the team? Let me first say this, we are all creative. I really believe that. I believe that since we have been made in the image of our creator, we were created to create. It’s one thing that truly does separate us from all other creation. Sure some parts of creation “create” things, but not really. There aren’t many creatures who create outside of their instinct. We do. And in doing so, in using this creativity, we worship our creator. A Leader: The leader has to be someone who is connected to the senior pastor or leadership team. They have to know what the heart of the sermon/sermon series is and be able to make sure the team has a clear understanding of that and can help lead the team in coming up with ideas that work with that message. The leader should be both creative and detail oriented. If no one is coming up with any ideas, someone has to create a spark – probably the leader. Along the same lines, if there are a lot of creative ideas, but the detail oriented person(s) are having a hard time figuring out how to get going, the leader will have to step in and help out. 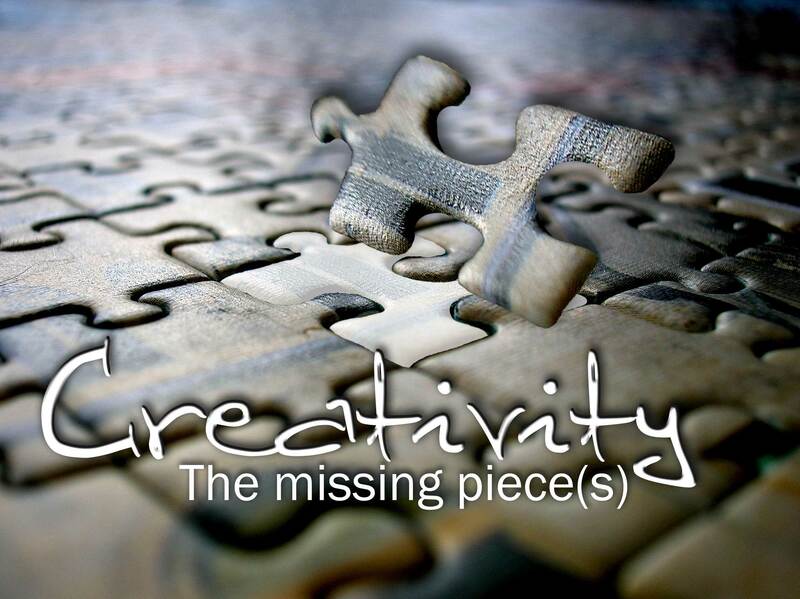 Creative people: they might not ever get anything accomplished, but they think outside the box. This one seems obvious, but you might hesitate because you don’t want to deal with the people who don’t do anything.Don’t do that. You will get frustrated with them. But don’t write them off. Sure, it seems like they don’t do any work, but are you sure about that? You might not be able to quantify the work they do, but that doesn’t mean they aren’t doing work. You might not be able to count the number of nails they’ve hammered, but can you count the time they’ve spent dreaming (daydreaming) about these ideas? Detail oriented people: they might have some creative ideas, but their strength is in their ability to see an idea and come up with the steps needed to accomplish the idea. This group of people might frustrate you during the brainstorming process because they don’t seem to bring much to the table, but later in that same meeting you will be praising God for them. And as each project comes to a close you will see just how much they bring to the table. These are the people that keep you on time, on target and on budget. One last question you are probably wondering about: Should the pastor be on the team? Maybe. But, probably not. If your pastor is an extremely creative person, it might be a good thing, but if that’s the case why have the team? Chances are that most people won’t tell the pastor when his idea is a bad idea, even if they really don’t like it. So, having the pastor on the team can actually hamstring the team. But, I wouldn’t say this is the case for every team. Some churches might have a senior pastor who would be great for a team like this, and would help lead or even be the leader for the team. In fact, that would be about the best scenario for having the pastor on the team. If the pastor is leading the team and is the one who is digging ideas out of people, it could be great. If the pastor is merely getting a group of people excited about his/her ideas, again, why have a team? There is a lot to running one of these teams, it’s not something any of us should just jump in to. But, when they work, it’s worth the effort. There’s still more to it, more to come…………….eventually…………….